FDSW takes place 26th Sept 2016 to 2nd Oct 2016, with the aim of raising awareness of the critical element of fire safety in every commercial, public and multiple occupancy building. 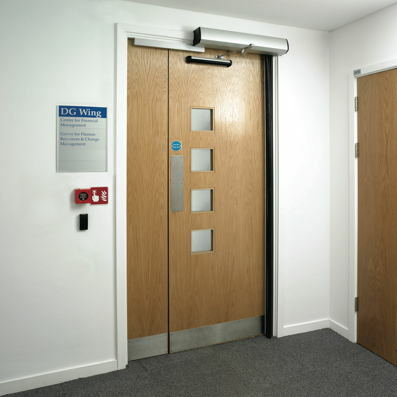 It is further supported by the British Federation of Woodworkers’ (BWF) #ClickItKickIt campaign, which is raising awareness of the dangers of wedging fire doors open and empowering people to photograph fire doors being wedged or propped open. Worryingly, a recent report from the Government has shown that there were 213 deaths and more than 6,700 casualties from building fires in England in the six months of April to September 2015. Full year figures are likely to show a significant increase on previous years. 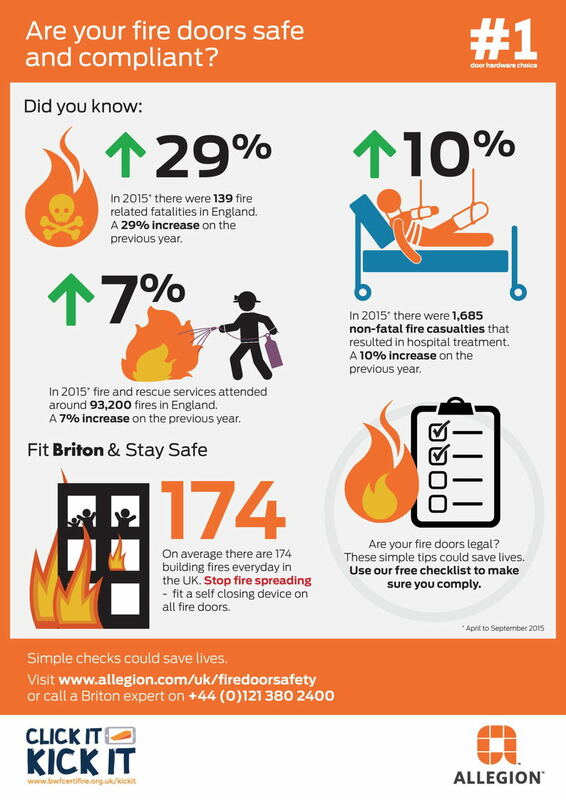 Paul Barrows, demand creation leader at Allegion, said: “It’s terribly sad to read the latest Government figures on deaths and casualties from building fires. At Allegion, we offer door closers that link with an electro-magnetic hold open system to the fire alarm, which will release a door to its closed position when the fire alarm actuates. This negates the need for any sort of wedge, or even worse, propping the door open with a fire extinguisher. “Alternatively, a free-swinging electro-magnetic door closer linked to the fire alarm system will facilitate a barrier free operation to the door whilst still allowing the door to be manually closed if required for areas of personal space where an element of privacy is required. Our events will aim to help people to find solutions to fire door safety – which could save lives. For further information on the events or Allegion products, visitwww.allegion.com or contact the Customer Care Team on +44 (0) 121 380 2400.